William Brown Upton, eldest son of Henry Upton and Rebecca Tasker, was born in Pinchbeck, Lincolnshire in 1840 . He emigrated to New Zealand at the age of 18, arriving in Auckland on 21 December 1858 on the ship Evening Star . By 1864 he had established a bookselling business in Auckland, in which enterprise he was later joined by his younger brother John Henry Upton (1845-1929) when he arrived in Auckland on 4 December 1866 on the ship Chile . The firm went under a number of names – Upton, Upton Brothers, W. B. & J. H. Upton, and Upton & Co., and was located at several addresses. On 17 February 1865 “Upton & Co., wholesale and retail booksellers, stationers, music sellers, and fancy repository” begged to announce that they had opened “three doors below the Brunswick Hall, Queen-street, Auckland” . On 1 September 1870 it was announced that “Uptons, booksellers & stationers have removed to premises in Canada Buildings, between Messrs. Cosgrave and Co.’s and Mr. Short’s” ; the Canada Buildings were (at least in 1873) at 108-110 Queen Street, north of Durham Street . 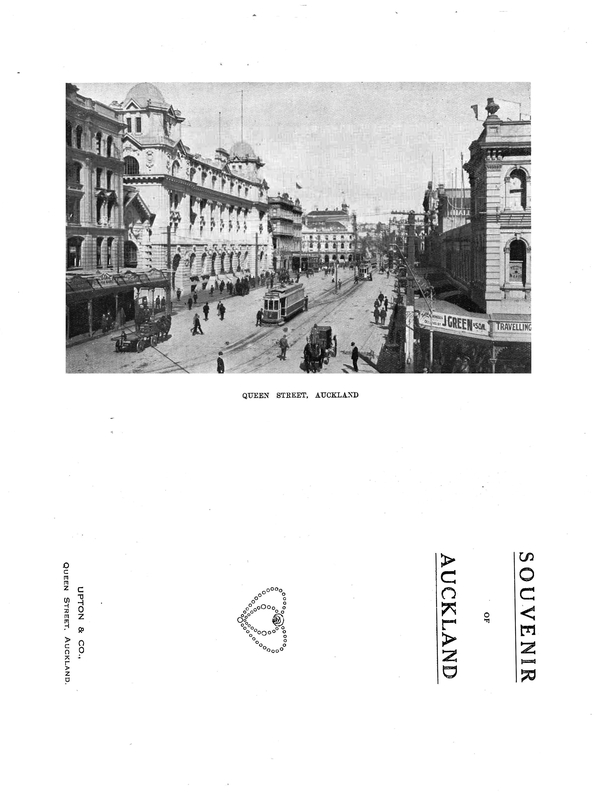 Queen Street was frequently renumbered, and various Auckland directories gave locations as 122 Queen Street , 106 Queen Street  and 102 Queen Street . Most Upton & Co. newspaper advertisements did not include street-numbers, but between 14 May 1885 and 27 November 1894  those that did gave the address as 102 Queen Street (although, confusingly, between 4 and 23 July 1885 the street-number was given as 162 – probably a misprint for 102). From 9 January 1896 until 17 June 1916 those few Upton & Co. newspaper advertisements that gave the street address gave 158-160 Queen Street , which was between Vulcan Lane and Durham Street East . Quite a gloom was cast over the whole community yesterday by the death of Mr. W. B. Upton, senior partner of the firm of Upton Brothers. Mr. Upton was generally respected and esteemed, no less for his sterling qualities as a citizen than for excellence of his character as a business man. Devoted to his business as he was, he had displayed great enterprise and rare skill in providing for the wants of the reading portion of the community, and the brother who survives him will, we feel sure, often miss the judiciousness, discernment, and rare business capacity which had been chiefly instrumental in achieving that success, from the full enjoyment of which Mr. Upton is cut off. The firm had only recently removed into more commodious premises, and it is believed that the worry and excitement attendant upon the work of arranging the new premises caused the illness from which Mr. Upton died. Though by no means of a robust constitution, he always displayed remarkable industry, his devotion to business rendering him perhaps less careful with regard to his health than was prudent. He leaves a wife and young family to mourn his untimely death, and his memory will be reverenced by a very large circle of friends who had learned to respect him. Big Book-Selling Business Changes Hands. Purchased by Whitcombe and Tombs. One of the oldest businesses of Auckland city changed hands yesterday, when the bookselling and stationery establishment of Messrs Upton and Co., of Queen Street, was taken over by the equally well known southern house of publishers and booksellers, Messrs Whitcombe and Tombs. It is the intention of the new proprietors almost immediately to commence the erection of fine new premises at the corner of Queen and Durham Streets, to which the present business will be transferred as soon as they are completed. Meantime the business will be continued as usual, excepting that the purchasers take over immediate control. The management of the business will be under the personal supervision of Mr. B. E. H. Whitcombe, the general manager of the company, who is at present in London, but is expected to return about October. The passing of Messrs Upton and Company’s business will be of considerable sentimental interest to old residents, for, established more than fifty years ago by Mr W. B. Upton, who was joined in 1866 by his brother, Mr J. H. Upton, and who died in 1870, its name is now familiar to three generations of Aucklanders. The repute of the old firm is not confined to Auckland, but extends throughout the Dominion, for the wholesale department of the firm has been an important branch of its activities. The retail trade of the firm was very extensive, and one of its specialties which has brought its name into considerable prominence has been the sale of educational works and the encouragement of the demand for high-class literature. Mr J. H. Upton retired from the firm about seven years ago. Since then it has been conducted by his sons, Messrs P. T. and S. Upton. Mr J. H. Upton has been closely identified with many of the leading commercial activities of the province. 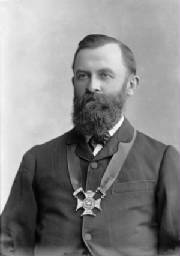 He is the acting-chairman of directors of the Bank of New Zealand, and as a director of other leading mercantile companies has occupied the position of chairman of the Auckland Gas Company, the South British Insurance Company, the Northern Steamship Company, the Northern Roller Mills, and is on the directorate of several other concerns. Amongst Anglican churchmen Mr Upton’s is a prominent name; for, as a member of the Diocesan Trust Board and other lay organisations of the Church, he has rendered long and useful service. Auckland Business Sold. Messrs. Upton and Company. 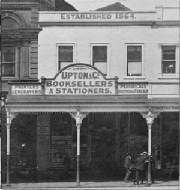 The bookselling and stationery business of Messrs. Upton and Co., of Queen Street, has been disposed of to Messrs Whitcombe and Tombs, publishers and booksellers, who have branches at present at Wellington, Christchurch and Dunedin. The building operations which have been decided upon by the purchasers will involve an expenditure of £18,250. The business of Messrs. Upton and Company was established more than 50 years ago. The founder of the firm was Mr. W. B. Upton, who died in 1870. Four years before his death he was joined by his brother, Mr. J. H. Upton, who carried on the business until he retired about seven years ago, leaving the management of the firm’s affairs to be conducted by his sons. Mr. J. H. Upton became associated with many leading commercial enterprises. He is acting-chairman of the directors of the Bank of New Zealand during the absence from the Dominion of the chairman, Mr. Harold Beauchamp. He is chairman of directors of the Auckland Gas Company, and has occupied a similar position on the directorate of the South British Insurance Company, the Northern Roller Mills and the Northern Steamship Company, of which and other concerns he is at present a director. During its life of about 52 years the firm of Upton & Co. Booksellers & Stationers played an important role in the Auckland of its time. As well as selling books, magazines, music, stationery and fancy goods, the shop sold tickets to theatre productions, local shows, concerts, lectures, balls and events, was an art union agency, and a location where tender and other documents could be inspected by the public and messages left for collection. Its Queen Street window was a focal point for the display of all manner of artefacts, art works and items of community interest. The company was actively involved in the affairs of Auckland, and a frequent contributor to a very wide variety of fund-raising activities. Upton & Co. was also an important New Zealand publisher, as the following bibliography attests. Works are arranged chronologically by publication date. Titles cited in A. G. Bagnall’s New Zealand National Bibliography to the year 1960 are so noted. Most items are listed in the New Zealand National Union Catalogue database. Where this is not so, or where details differ significantly, the source is given in a footnote. Some works (for example record numbers 34, 40 and 58) were probably not published by Upton & Company, but have been included in this bibliography because the New Zealand National Union Catalogue or OCLC WorldCat or Upton & Co. newspaper advertisements list them as such. The distinction between published by, printed by, distributed by or sold by Upton & Company does not appear always to have been made by cataloguers, bibliographers or the Company itself. An author index, and list of sources checked, is included at the end of the bibliography. 1. Southern monthly magazine. Auckland, Upton & Co., April 1865–February 1866. Earlier issues published Auckland, Creighton & Scales. 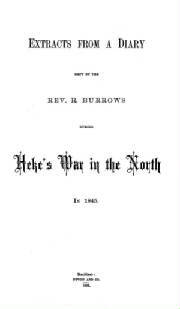 Ceased publication February 1866. Written by a former member of the Melanesian Mission staff, in commemoration of the deaths of three missionaries, one of whom was Bishop John Coleridge Patteson. An attack on Charles Darwin. 7. Church gazette: for the Diocese of Auckland. Auckland, Upton & Co., 1 July 1872–? Added title page title: Church gazette: for the Diocese of Auckland and Melanesia. 8. Church of the Province of New Zealand. Diocese of Waiapu. Native Church Board. Nga mahi a te hui o te Hahi Maori o te Takiwa o Heretaunga i te Pihopatanga o Waiapu: I huihui ki Pakowhai. Auckland, Upton & Co., 1872–1912. Reports of meetings on Māori Church matters, 1870–1914. Variant title: New Zealand ferns and fern allies. 10. Mason, Peter, Rev. Outlines of the geography of New Zealand. Auckland, Upton & Co., 1872. 35 p.
Variant title: Geography of New Zealand. 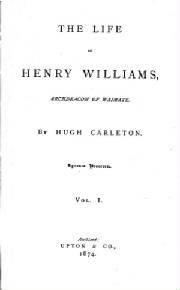 Volume 2 published Auckland, Wilsons & Horton, 1877. 364 p.
Variant title: Upton’s select library. 22. Beta, Alf A. The Anglo-Israelite: a satire addressed to the new identities. Auckland, Upton & co, 1878. 12 p.
Reprinted from the Auckland Church Gazette of March 1884. 29. Upton & Company, Auckland. Upton & Co’s new map of the city and suburbs of Auckland. Auckland, Upton & Co., 1884. 1 map (scale 10 chains to an inch). Variant titles: New map of the city and suburbs of Auckland; Street map of the city and suburbs of Auckland compiled from the latest information. Re-issued at later dates with different titles in different sizes and scales. Variant title: Book of the farm for Auckland. 36. Mahon, Owen. Manual of drill and calisthenics. 2nd edition. Auckland, Upton and Co., 1891. 38. Gray, Andrew, 1847-1925. Aids to experimental science: for teachers and students. Auckland, Upton & Co., 1892. Notes on William Makepeace Thackeray’s History of Henry Esmond. Includes Splendid advice as to how to take Turkish baths properly (private baths at home), and, What hydropathy is by W.B. Hunter; and letter from R. J. Seddon on Turkish baths. 48. Upton & Company, Auckland. Views of Auckland, New Zealand. Auckland, Upton & Co., ca. 1900. 18 p.
Another version with additional text under the captions published ca. 1902. 18 p.
Notes on George Eliot’s novel Romola. Running title: Religion of humanity. 53. Church of the Province of New Zealand. Diocese of Auckland. The order of service for the consecration of the Ven. Owen Thomas Lloyd Crossley, Bishop Elect of the Diocese of Auckland, N.Z., in the Cathedral Church of S. Mary the Virgin on the Feast of S. Mark, evangelist and martyr, April 25, at 10.30 a.m. by the Most Rev. the Bishop of Christchurch and the Right Revs. the Bishop of Nelson, the Bishop of Waiapu and Bishop Williams. Auckland, Upton & Co., 1911. 12 p.
Caption title: The form of consecrating a bishop. Caption title: Auckland guide. Includes Street map of the city and suburbs of Auckland (1 folded map, 46 x 48 cm, scale 1:15,850). 57. Upton & Company, Auckland. Street map of the city and suburbs of Auckland: compiled from the latest information. Auckland, Upton & Co., 1914? 1 map (43 x 46 cm, scale 1:15,840). Re-issued in different sizes and scales. 58. Upton & Company, Auckland. Souvenir of Auckland. Auckland, Upton & Co., 1925. 38 p.
Cover statement: Visit of the American fleet, August 1925. 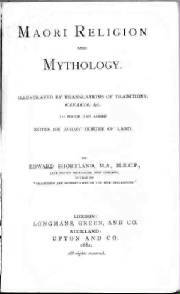 An unchanged reprint of the 1913 edition, but with new covers. Dunlop, E. M. see Bourke, E. M.
Bagnall, Austin Graham (ed.). New Zealand National Bibliography to the year 1960. Wellington, Government Printer, 1969-1985. 5 v.
 General Register Office, District Spalding, vol. 14 p. 510 (FreeBMD). Southern Cross 10 December 1858, p. 2 column E; 24 December 1858, p. 2 column F. William Brown Upton is listed in the Franklin electoral roll for March 1861. He is recorded as holding property at Hunua – see Southern Cross 16 April 1861, p. 6 column A (advertisement). New Zealand Herald 5 December 1866, p. 4 column A; Scholefield, G. H. A dictionary of New Zealand biography. Wellington, Dept of Internal Affairs, 1940, v. 2 p. 413. Daily Southern Cross 18 February 1865, p. 6 column F (advertisement). Daily Southern Cross 1 September 1870, p. 1 column F (advertisement). Chapman’s Auckland directory (commercial and professional) of the city of Auckland & suburbs and principal towns & villages of the Province for 1873 and 1874. Auckland, G. T. Chapman, 1873 [unpaged]. Mitchell & Seffern’s directory of the city and suburbs of Auckland for 1866-7. Auckland, Wayte & Batger, 1866, p. 42. Chapman’s Auckland almanac, town and country provincial guide and Auckland trade directory 1872. Auckland, G. T. Chapman, 1872, p. 82. Auckland city and suburban directory 1882. Auckland, Ingram & Co., Cecil Gardner, 1882, p. 282. New Zealand Herald 14 May 1885, p. 4 column D; 27 November 1894, p. 7 column A (advertisements). Unfortunately newspaper advertisements published between 28 November 1894 and 7 January 1896 did not include street-numbers. The first advertisement with the changed street-numbers was in the New Zealand Herald 9 January 1896, p. 8 column 3. See also Cleave’s Auckland city, suburban, provincial, commercial, municipal and general directory 1896. Auckland, Arthur Cleave & Co., 1896, p. 569. Upton & Co. advertisements in the New Zealand Herald from 17 November 1903 to 14 January 1904 gave the street-number as 129, but this does not appear in advertisements in the Auckland Star for the same period and must have been a misprint. Daily Southern Cross Tuesday 13 September 1870, p. 2 col. F.
 Daily Southern Cross Wednesday 17 May 1871, p. 1 col. F (advertisement); New Zealand Herald 17 May 1871, p. 4 column C (advertisement). Waite, Noel. Books for a nation: the Whitcoulls story. Auckland, Whitcoulls, 2008, p. 53. No source is given for this comment. Auckland Star 16 June 1916, p. 6 col. G.
 New Zealand Herald 17 June 1916, p. 5 col. D.
 Auckland Star 16 June 1916, p. 4 col. C; New Zealand Herald 17 June 1916, p. 6 col. B. New Zealand Herald 28 April 1917, p. 11 (advertisement). New Zealand Herald 7 June 1917, p. 1 column D (advertisement). Daily Southern Cross 11 April 1865, p. 4 column C (advertisement). Daily Southern Cross 28 November 1871, p. 4 column G.
 New Zealand National Union Catalogue record number 7727991 (note). New Zealand Herald 19 June 1884, p. 3 column A (advertisement). See Auckland Libraries Kura: Heritage Collections Online. See also New Zealand Herald 16 September 1904, p. 4 column G.
 New Zealand Herald 30 June 1885, p. 8 column E (advertisement). OCLC WorldCat record numbers ocn227255159, ocn559347379. Other records (including in Bagnall) have note “Sold by Upton & Co., Booksellers, Auckland, N.Z.”. 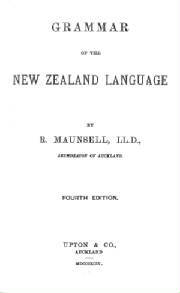 Upton & Co. advertised this book from February to May 1885 as “written in 1884” (see for example New Zealand Herald 14 February 1885, p. 7 column C) so 1889 publication date must be incorrect. Auckland Libraries Catalogue. Not checked, as book is missing and no other copies have been traced. See also New Zealand Herald 19 February 1891, p. 2 column H (advertisement). New Zealand National Union Catalogue record number 7247293 (note). New Zealand National Union Catalogue record number 11590117 (note). Publisher details in the note are almost certainly incorrect.